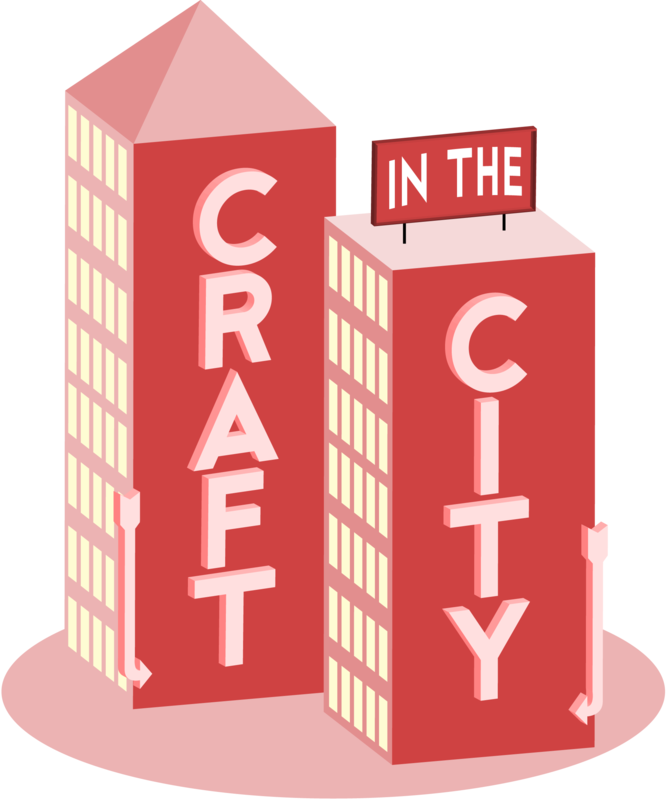 Join Amy at the Super Saturday for #CraftyInTheCity and learn how-to make coconut lip balm with Karly & Calie at Otion: The Soap Bar in Bellingham, Washington. Tell us a little bit about the workshop, the aim of the class and who it was organised by? 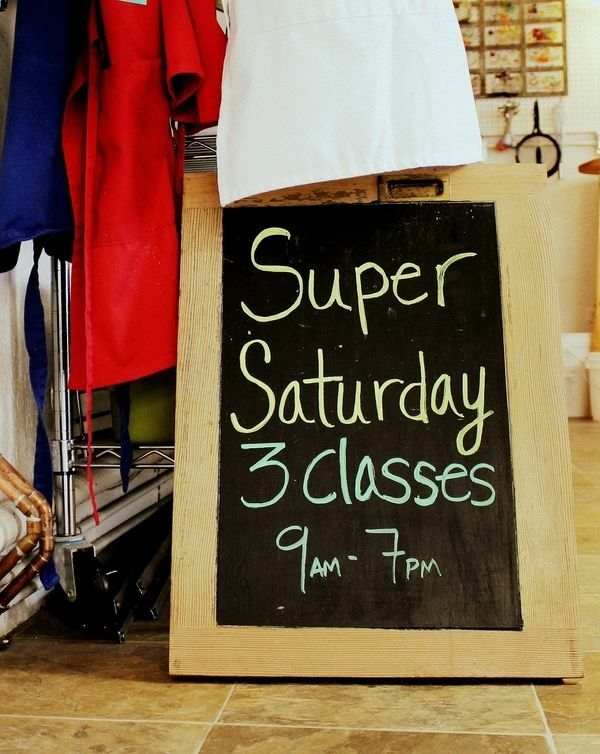 Super Saturday is a collection of multiple workshops all ran in one day. The classes are small (4-6 students on average), run around 3 hours long, and you have the option of signing up for just one class, or for all three. 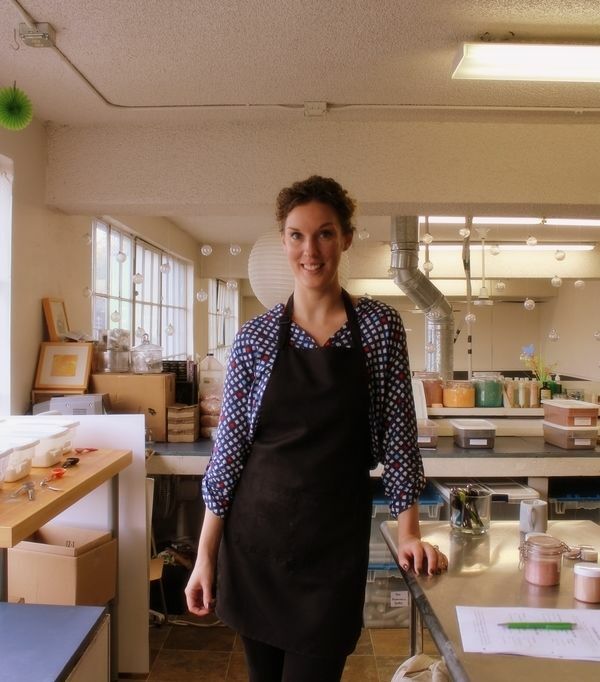 Karly ran the Mineral Make-Up & Naturally Clean Home classes, and Calie ran the Lip, Body, & Bath class. Where was the workshop held and what was the venue like? The workshop was held in the upper loft of the shop. From the loft, you could overlook the shop, and see Downtown Bellingham through the multiplane windows. 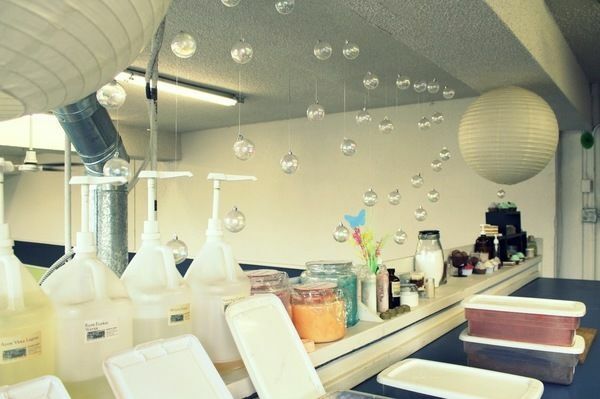 The area has a cozy feel from its surroundings of displayed crafts, paper lanterns, and glass suspended soap bubbles. Though there are two tables set together with a steel table at the front in a classroom style, it’s far from a sterile-feeling environment of a traditional classroom. There is plenty of welcoming personality, and inspiring elements to the class. Paired with the enthusiastic instructors and intimate class size, it’s hard not to feel excited to create. What projects were the class making and how did your creations turn out? For the Mineral Make-Up Class we made Powdered Foundation, Blush, and Eye Shadows all from scratch! I loved how they makeup turned out. We were given all of the supplies we needed, and some pre-made recipes to try as-is, or tweak to fit our needs. The instructor, Karly, checked on everyone’s progress and paid special attention to those who needed her guidance the most. She even shared her personal recipes for colors she uses the most. After making a couple of the eye-shadow recipes, I branched out and made two colors of my own. Very exciting! A great skill to have if you are not only a huge fan of make-up, but to have that control to always make exactly the complimenting colors you love the most without wasting money on makeup you rarely use. I absolutely love and use the products created in class. For the Lip, Body, & Bath Class we made Lip Balm, Whipped Body Butter and Bath Bombs all from scratch! In this class, we teamed up on all but the Bath Bomb making. Everything but the Bath Bombs we measured out ourselves on a scale, and split the resulting products once we were done! In this class, I partnered with Eric, an Otion employee, and we made Coconut Lip Balm, and Clary Sage whipped body butter. The Instructor, Calie, premeasured out all of our ingredients for the Bath Bombs, and we chose our own fragrances and colors. I made purple lavender ones. ? For the Naturally Clean Home Class we made an All Purpose Cleaner, Liquid Dish Soap, Dishwasher Detergent, Tub, Tile, and Grout scrub, and a Fragranced Room Spray with Karly. This was a super informative class about safe, and affordable, home cleaning. Our class of 3 students all teamed up on making our All Purpose Cleaner, and made the rest individually, but still as a class. I use everything we made in that class. My husband loves the Dish soap, and I made a Peppermint & Lavender Home Spray that I love to use all over the house. Were you supplied with any materials and did you get any goodies to take home? Each class included the supplies and equipment needed for making each project while in the class. We were given packets with detailed instructions and ingredient lists to we could recreate what was made in class right at home. I was able to take home everything I made in convenient (and cute) storage supplies. Some were made with enough left over in small amounts to give to friends or family. From the Mineral Make-Up class I took home a jar of Mineral Foundation, a jar of Mineral Blush, and 4 small pots of Mineral Eye Shadow. From the Lip, Body & Bath Class I took home 5 Lip Balms, 2 Bath Bombs, and one large and one small jar of Whipped Body Butter. From the Naturally Clean Home class I took home a 4 oz container of Dishwashing Detergent, almost 12 ounces of All Purpose Cleaner, Liquid Dish Soap, my own Room Spray, and a small jar of Tub, Tile, and Grout Scrub. What were the teachers like and did you get any one-on-one time? The instructors, Karly and Calie, were wonderful. Because each class was small (3 – 4 students), everyone could get one-on-one time with the instructors if they needed extra help, or had questions. Some projects had us team up, so that made the learning extra fun, because our instructor could stand between us and explain as we went along. This made the whole experience much less stressful and more fun as we all made mistakes together, laughed about accidental messes, and applauded each other’s successes. It took the fear and confusion out of trying a new craft, to see things come to creation by my own two hands. Did you pick up any useful tips or tricks that you’ll continue to use at home? I highly recommend the Naturally Clean Home class, and learn how to make your own cleaning supplies that are safe to use all around the home. And learning how to make my own bath supplies will absolutely be put to use, as the holidays are right around the corner. How big was the class and did you get a chance to chat to any new crafty friends? Each class had 3 to 4 classmates. Having such an intimate class size made the process less intimidating, and made it easy to have conversation, and help each other. What type of crafters would you recommend this workshop to? I’d recommend this class to crafters who also want to be educated consumers. Crafters who care about what they put on their body, and spray in their homes. 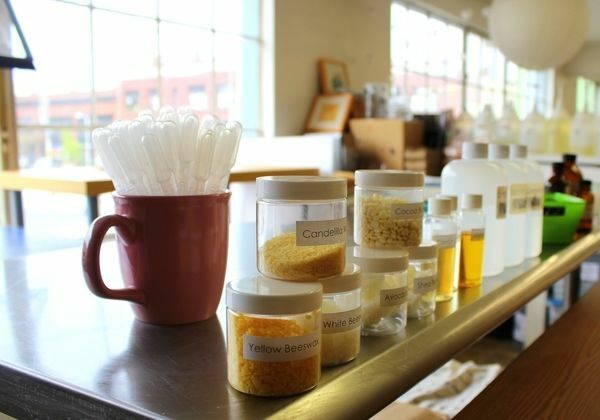 If you enjoy being hands-on with your learning, this is the right way to go about learning how to make your own home and bath products. If you are someone who does Etsy or Craft Fairs, these classes would be highly beneficial to take, so that you learn not only the processes, but the reasons why making your own bath, beauty, and cleaning products can be beneficial to yourself, your family, and the environment. Eco-friendly, thrifty, curious crafters, this is a class made for you! It’s also great for crafters like me, who want to make all of these wonderful things they see on the internet, but have no clue where to start on their own. Have you been inspired to go home and craft something from the class? After the classes, I picked up more Lip Balm supplies. I am excited to make it at home, and share with you how easy and inexpensive it can be to customize lip balms for yourself, or even just to gain a great addition to holiday gifts, or craft fairs. I am also very excited to have learned how simple it is to make my own bath bombs. A very special thank you to the Otion staff for making me feel like one of the team through 9 hours of craft classes. Everyone was so warm and friendly, helpful and extremely generous to let me participate and bring my creations home. I am looking forward to taking more classes at Otion in the future, and am recommending Otion to all of my crafty friends and family. And thank you to Karly for organizing, and helping to figure out which workshops I would be taking! 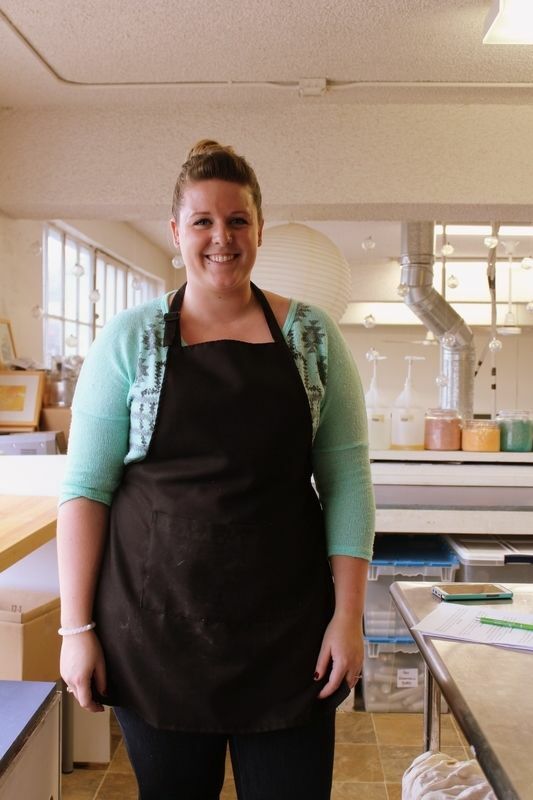 Make sure to not only check out the shop, but also check out their Blog online for great tutorials: http://otionsoap.com/otion-blog/ and follow Otion on Pinterest, Instagram, Twitter, and Facebook! Is there a craft workshop or cooking class in your town you'd like to test out for us? Send us a message!